Containerized drilling waste management system normally will be used in Russia for lower temperature and winterized conditions . 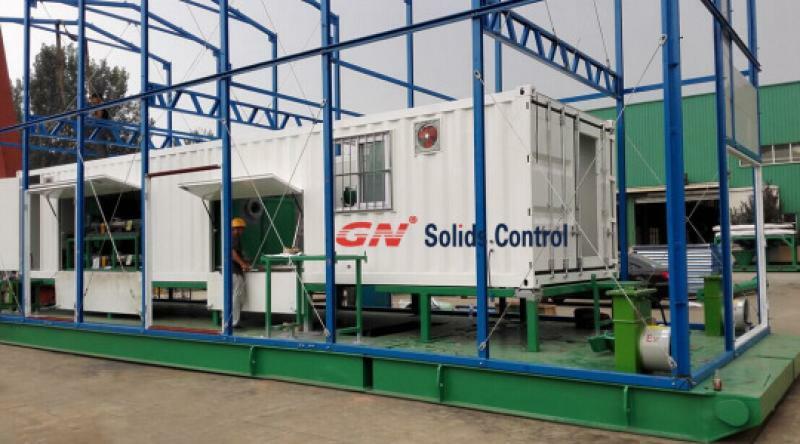 GN Solids Control delivery the third sets of containerized drilling waste management to the same client last week and get a good feed back of drilling waste management equipment performance in Russia . 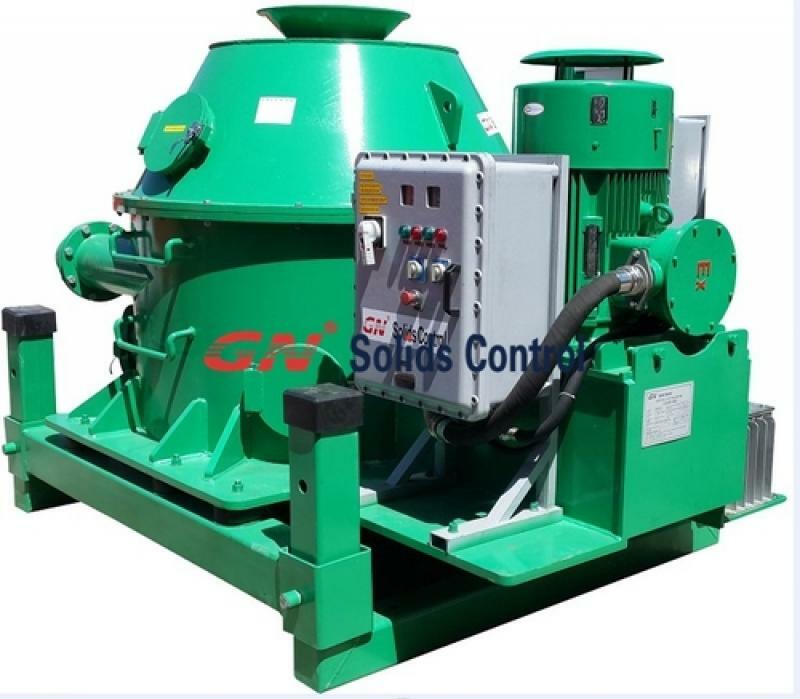 The main equipment will including vertical cuttings dryer , decanter centrifuge , screw conveyor , screw pump , 40 feet container and work skid . 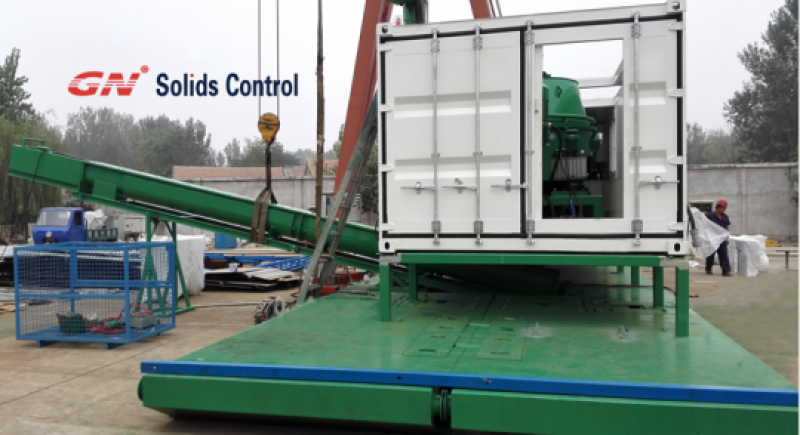 40 feet container supplied to keep vertical cuttings dryer and other drilling waste management equipment inside for winterization design . We made some changes on the container like doors or windle depending on working requirement . The whole container size on a big work platform to hold all above and make a base for the cover and temperature issues . One set vertical cuttings dryer with 930mm size diameter tank and 900 RPM rotating speed to allow drilling cuttings treating flow reaches to 30 to 50 cubic meters per hour . 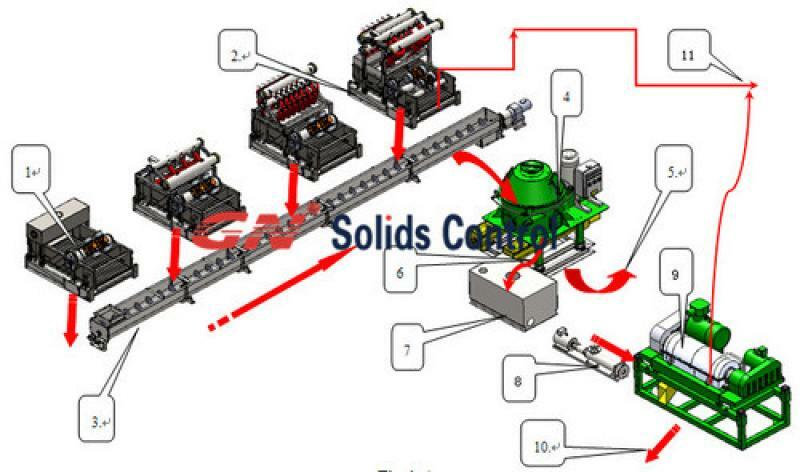 the dry solids treated by vertical cuttings dryer will reduce fluids and fluids content will be bellow 5 percent totally . One set screw pump will be installed to flush vertical cuttings dryer incase fluids content a lot of fine solids and make it hard to flow . The air knife will make client need a air compressior and this design is for avoid screen block by water base drilling cuttings . 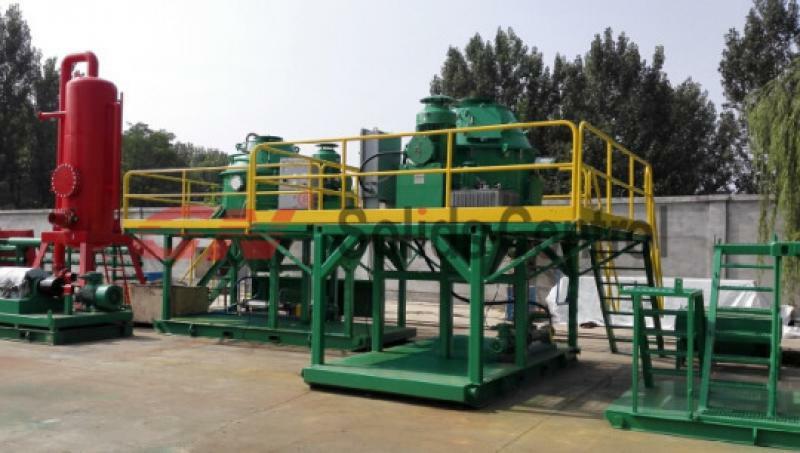 One set of decanter centrifuge will be installed to recycling drilling mud that recycled by vertical cuttings dryer . 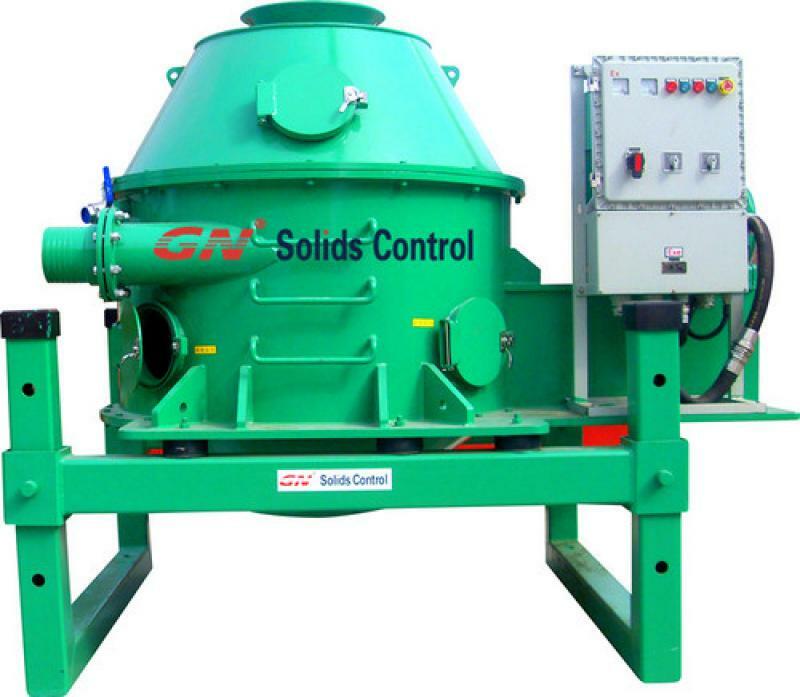 It is high speed centrifuge with 3200 RPM rotating speed for separation 2 to 5 microns solids out and 30 cubic meters per hour drilling mud flow max . The tungsten carbide tiles is bolted on screw impeller to help screw working longer life .